I was never really a ‘makeup-loving‘ girl until a few years ago when I was bitten by the Youtube bug and I discovered this whole universe of makeup that I knew nothing about. As I watched and learned about things like highlighting, bronzing, contouring and all that jazz, I started to experiment by stepping out of my comfort zone and for once wearing makeup. But even then, I don’t remember ever being too interested in ‘concealers’, for I thought foundation was enough for my skin. You see, back then my skin was in pretty good condition, but now things have changed – my skin hates me! If you’ve been with me on this blog for a while, you’ll know that I’ve been struggling with acne for a while now (a never-ending struggle it seems!) and it got so bad that at one point I just stopped wearing any makeup, because it scared me….I started to believe that makeup is what was bringing on the problem and ruining my skin. Long story short, I’ve come to realise that that’s not all true. I use makeup (sparingly) again these days and I had been on the hunt for a good concealer to cover up my acne scarring/spots. 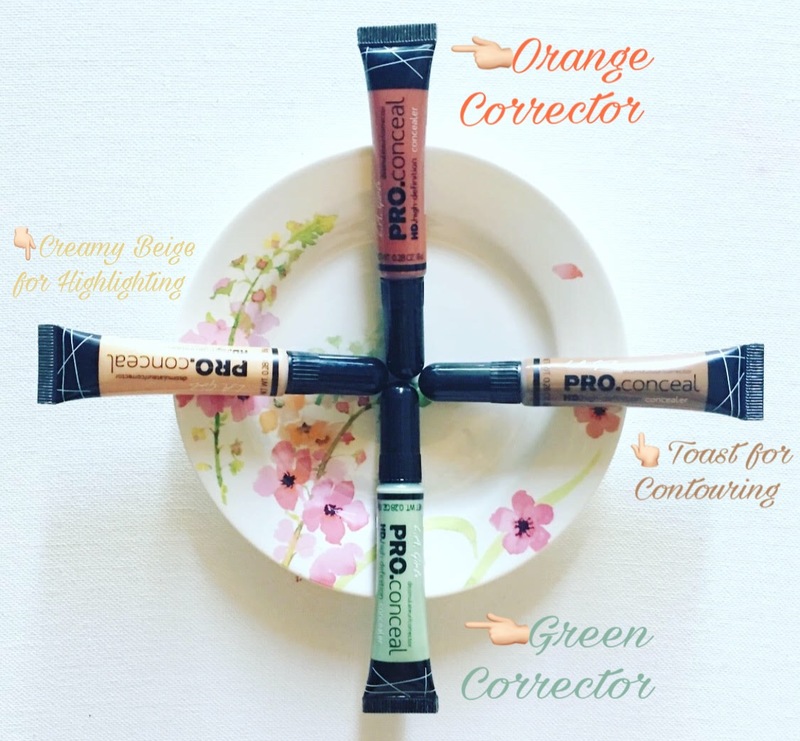 After some good online researching, I came across what is called ‘colour correcting‘, where you use concealers of different shades/colours to counteract problem areas on your skin. Needless to say – the very, very inquisitive me had to give this a try. 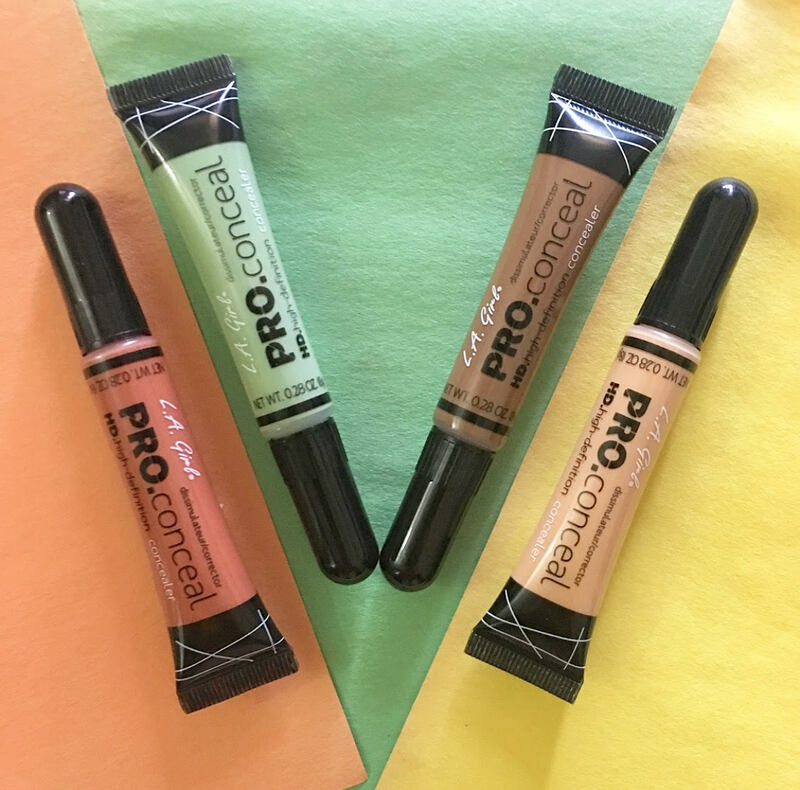 I chose the LA Girl Pro Conceal HD Concealers because I’ve heard great things about them and also, these have some incredible reviews. 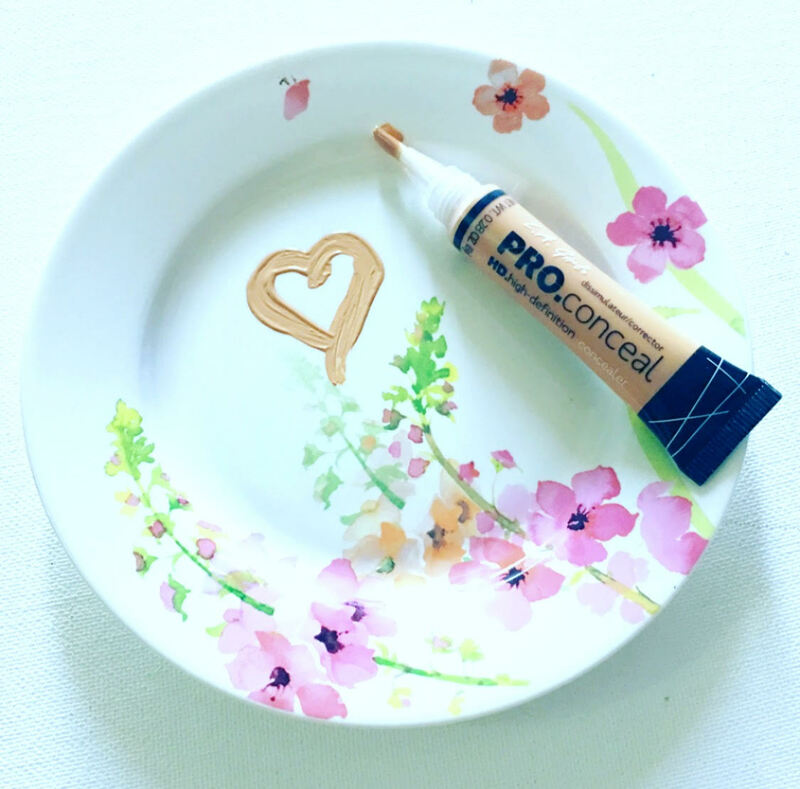 Now that you know what colour corrects what, I’m sure you will be able to pick concealers for the problems you deal with when it comes to your skin. 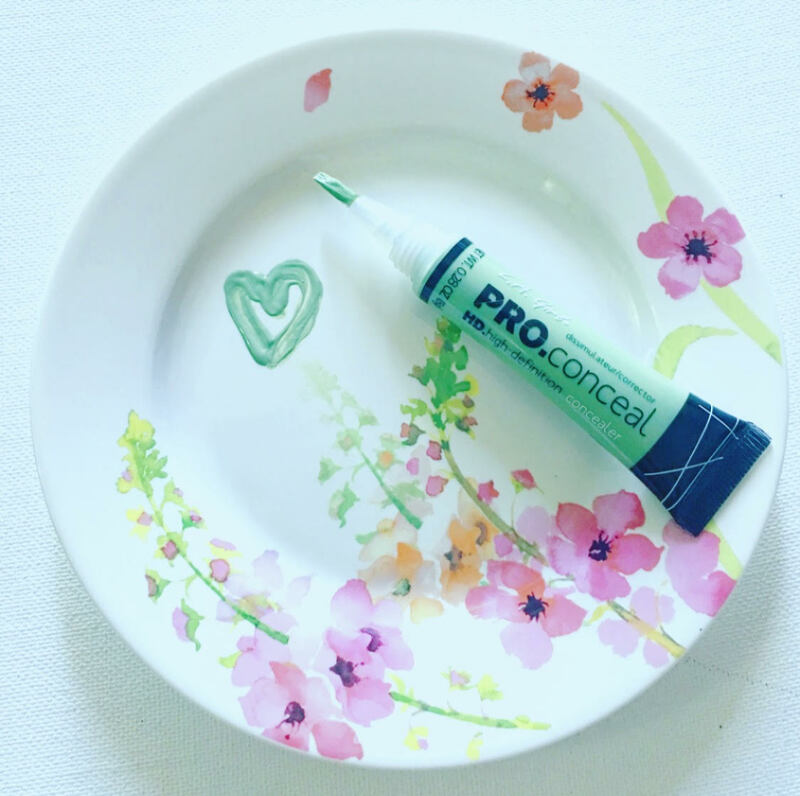 For me personally, my biggest issue is acne scars/spots and also dark under-eye circles… so the corrector concealers I chose to combat these issues were Green and Orange respectively. Now I also wanted to try and contour as well as highlight using the L.A. 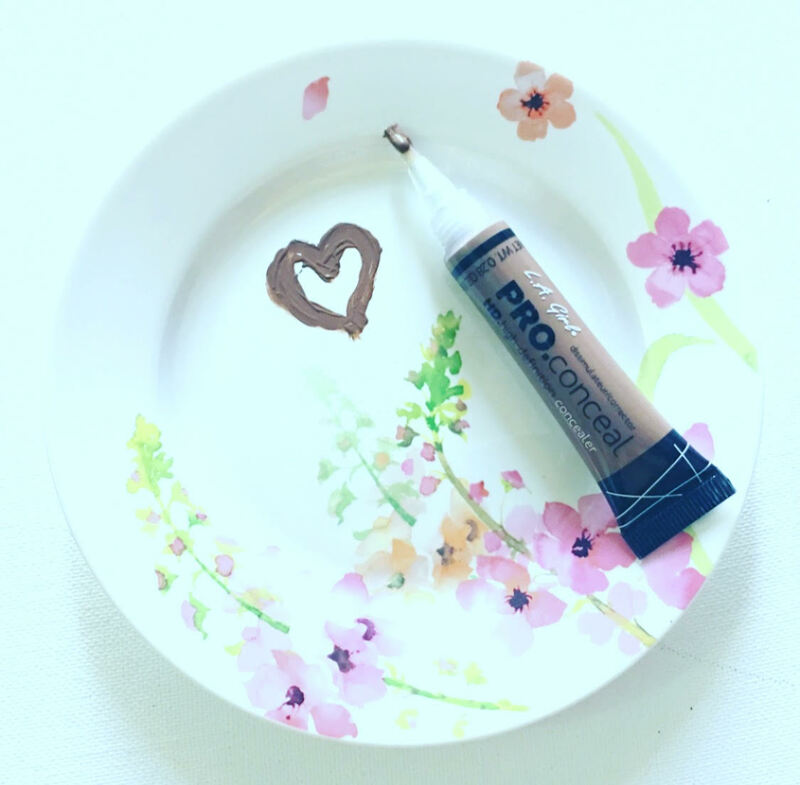 Girl Pro Conceal HD Concealers, so for that I chose the shades Toast and Creamy Beige. I love the packaging on these. It’s very minimalistic and simple as you can see. 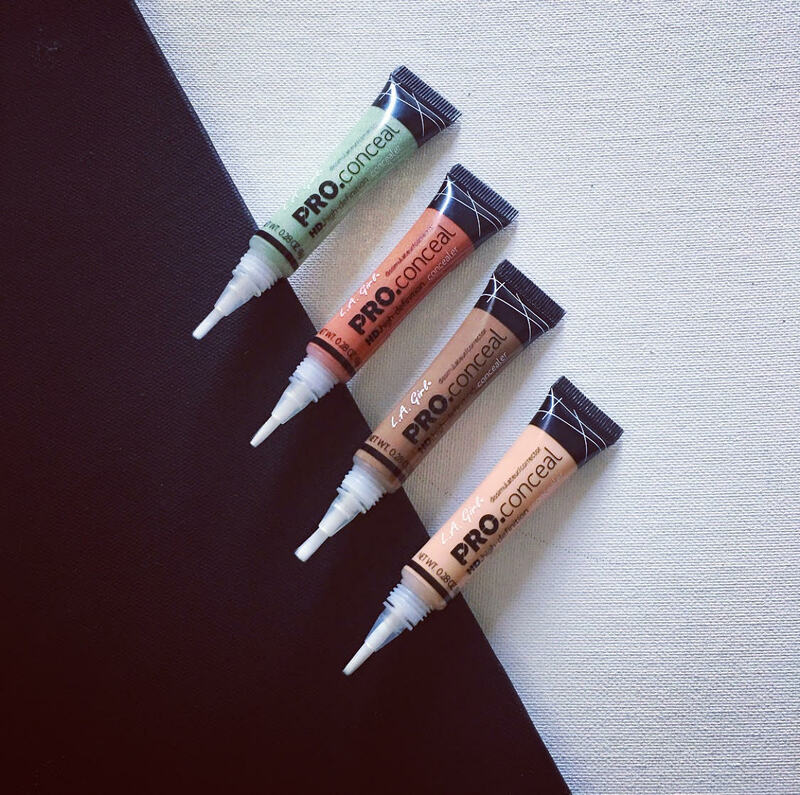 The concealers come in plastic tubes which are colour coordinated with respect to the colour inside. It has a brush applicator/tip, so you need to squeeze the tube to get the product into the applicator. 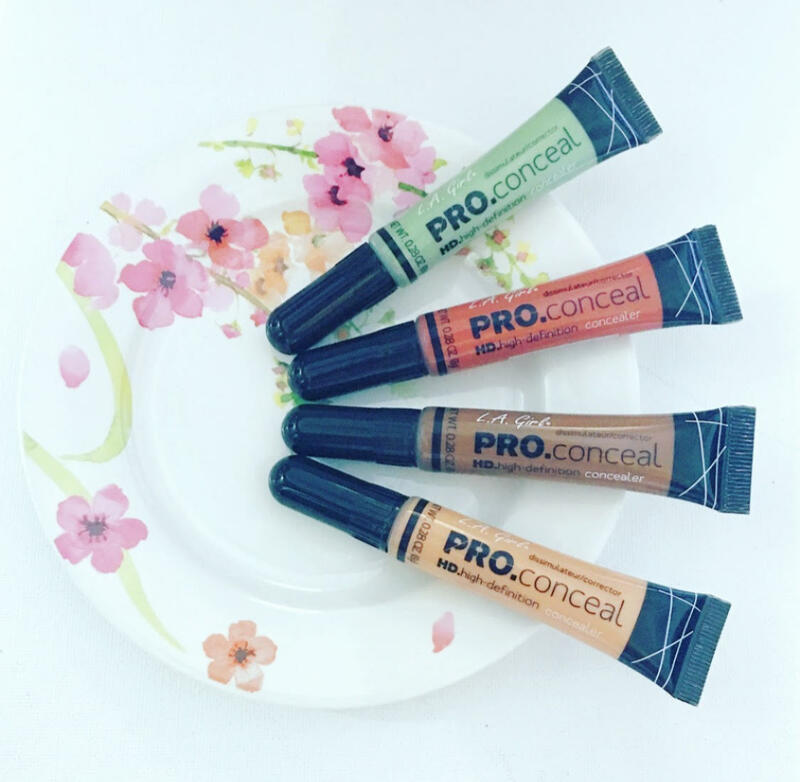 I would recommend you shake the tube a little before opening and squeezing out product…also, press very gently because a little goes a veryyyyy long way with these concealers. 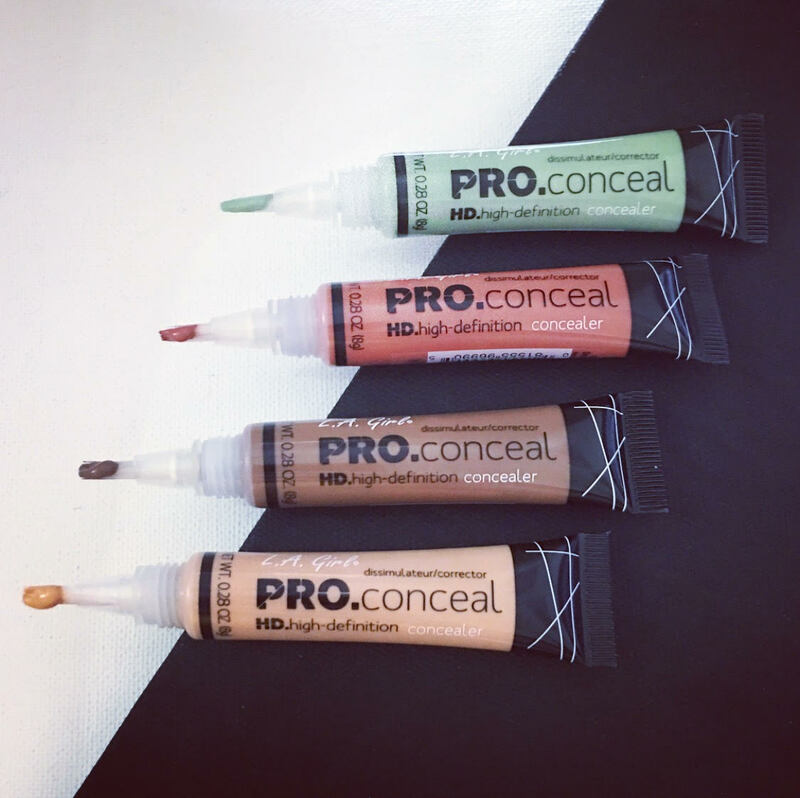 HD Pro Conceal by L.A. Girl is very thick in consistency, yet it’s very creamy in texture. These are HIGH COVERAGE concealer/correctors, very highly pigmented, so like I said before- go with an easy hand…remember you can always add more, but taking away product once you have it on is difficult. I also find that using just my fingers isn’t enough to blend this concealer, so I always go in with a damp beauty blender to really press the product into the skin and also to take away any excess that is sitting on the skin. The first time I saw these, I was a little sceptical (read scared!) 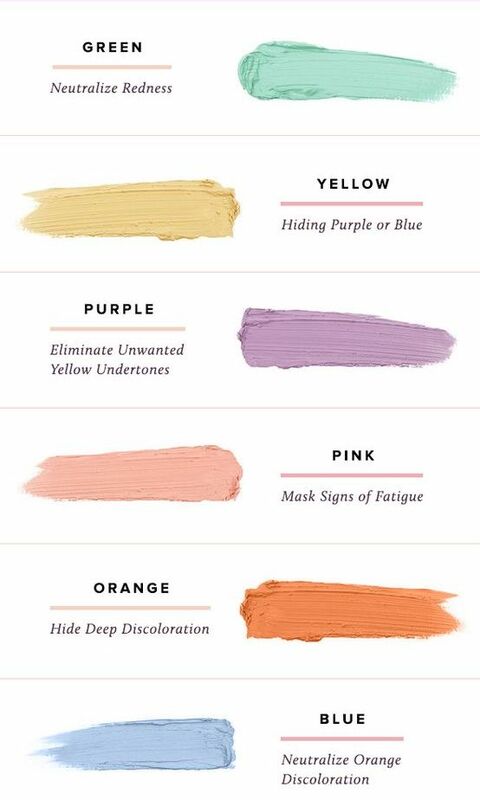 to use them, because the green and the orange are very very deep shades. On application, I was very careful – so the Green corrector blended beautifully and covered my acne/spots, but it was the Orange corrector that I had a tough time with the first time around. I put too much on and then no matter how much I tried to cover it up with foundation + concealer, I could still see the Orange peeking through from underneath my base. Lesson to be learned, use only a dot…no kidding! The shade ‘Toast’ is beautiful for contouring, so for those who love to contour using creams, give this a go. The shade ‘Creamy Beige’ has a yellow undertone, so it was a perfect match for my skin. What I also love about these is that they cover really really well. Set them with a translucent powder and you’re good for the entire day because these concealers will not budge! These are travel friendly and very decently priced. The finish is matte, so great for people with oily-skin, plus it won’t clog your pores. As for me, I’m going to keep trying to use the Orange corrector and see how I get along with it going forward. 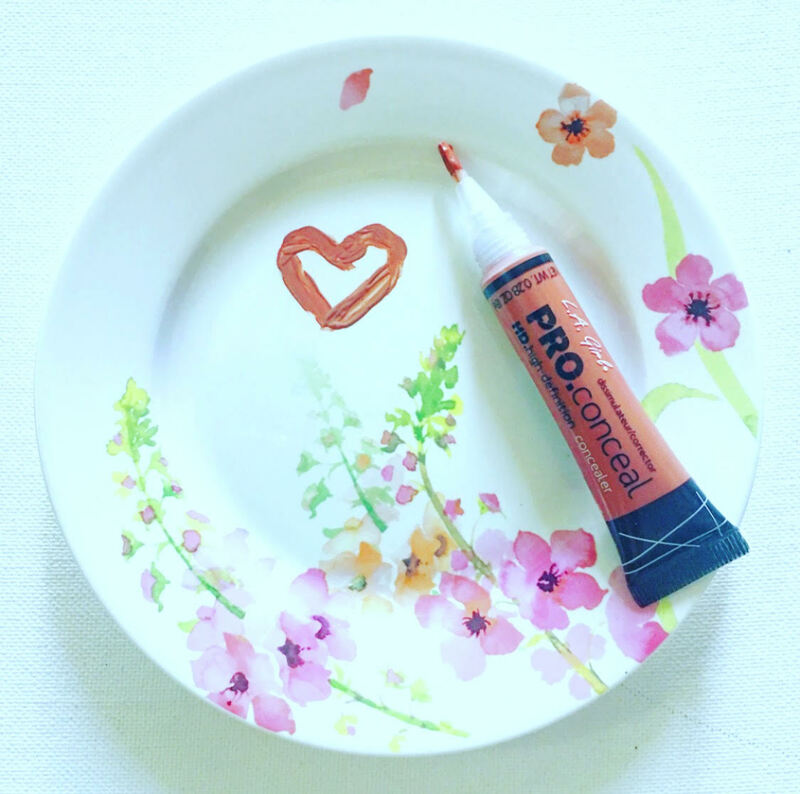 If you’ve used these, let me know in the comments section how you got along with them and what I can do to make the Orange corrector work better! Never used this product.. will sure give it a try. All this while I used my orange lipstick (I have hell lot of orange shades from different beauty subscription box) to cover up the dark circles. I’ve heard of so many people using lipsticks to conceal….does it get slippy?